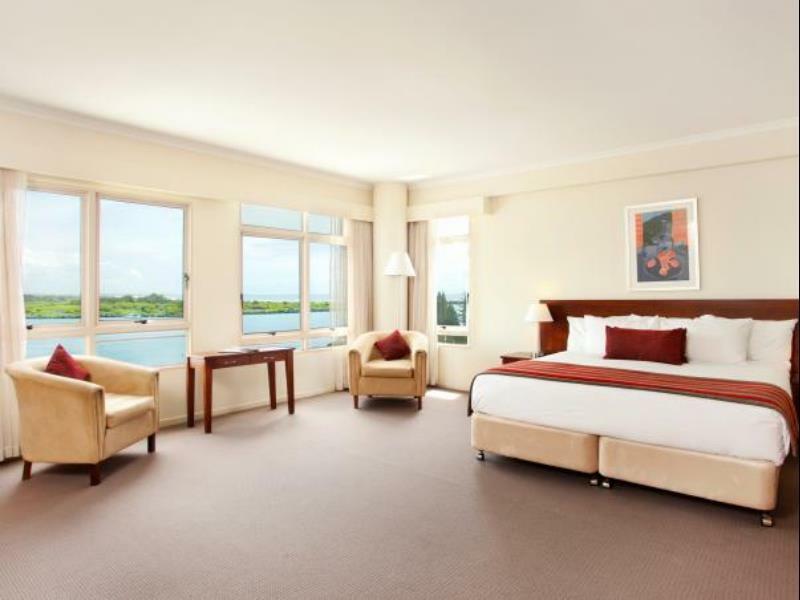 يشكل Rydges Port Macquarie Hotel بموقعه الممتاز في بورت ماسكواير نقطة انطلاق جيدة لاستكشاف هذه المدينة النابضة بالحياة. يمكن من هنا للضيوف الاستمتاع بسهولة الوصول إلى كل ما تقدمه هذه المدينة النابضة بالحياة. يشكل هذا الفندق ملاذاَ مريحاً للاسترخاء ويمنح زواره فرصة للاستجمام والتجدد، وهو يقع على بعد خطوات من المعالم السياحية الكثيرة للمدينة كمثل: The British Lolly Shop, كورت هاوس, ‪Port Macquarie Historic Court House‬. كما يقدم Rydges Port Macquarie Hotel الكثير من الخدمات لإغناء رحلتك في بورت ماسكواير. يقدم هذا الفندق العديد من الخدمات الكفيلة بإرضاء أكثر الضيوف تطلباً. في الفندق غرف نوم يتجاوز عددها 123، كلها مجهزة بعناية وجمال وبعضها مزود بـ تلفزيون بشاشة مسطحة, اتصال لاسلكي بشبكة الإنترنت (مجاني), غرف لغير المدخنين, مكيف هواء, تدفئة. سواء كنت من محبي الرياضة أو كنت تتطلع لتفريغ عناء نهار صعب، ستجد خدمات ذات مستوى عالي بانتظارك كمثل مركز للياقة البدنية, حمام سباحة خارجي, سبا. إن Rydges Port Macquarie Hotel هو خيار ذكي بالنسبة للمسافرين إلى بورت ماسكواير، بما يوفره من إقامة هادئة ومرحة. It's quite near to restaurants and directly beside the sea but don't expect beach as it's further strolling along either walk, cycle or by car. Unfortunately the car park is quite expensive for guest hotel. Should provide good bicycle for rent/borrow as the city bike is not really good to use. Coles supermarket is about 1.5 kms. The pool is lovely and location is right in the middle of town. Very easy walk to restaurants, shops and the beach. Very good place to stay. We have been there for twice. Highly recommend. All good though the shower had very low pressure. Could hardly wash because of the low pressure. Have been here a few times when passing through Port and love the location plus the funky cafe downstairs overlooking the river is a great place for a drink after a long day driving. Highly recommend as the staff have always been helpful when I've stayed. A one night stay after celebrating Christmas with the family. Hotel is lovely but the room was very expensive, room service wasn't great and the lock broke requiring the maintenance guy to be in our room for about an hour. Room was spacious but a bit dusty. Location is great. Breakfast was ok.
the view across the river is fantastic. Staff were so amazing I was up there with my 2 younger children for my daughters dance estedfod while haunt wouldn't come away with us the staff helped me so much and were super friendly I could not thank these people enough you are all amazing and I would be defiantly coming back. We always stay here at Rydges because of the beds. 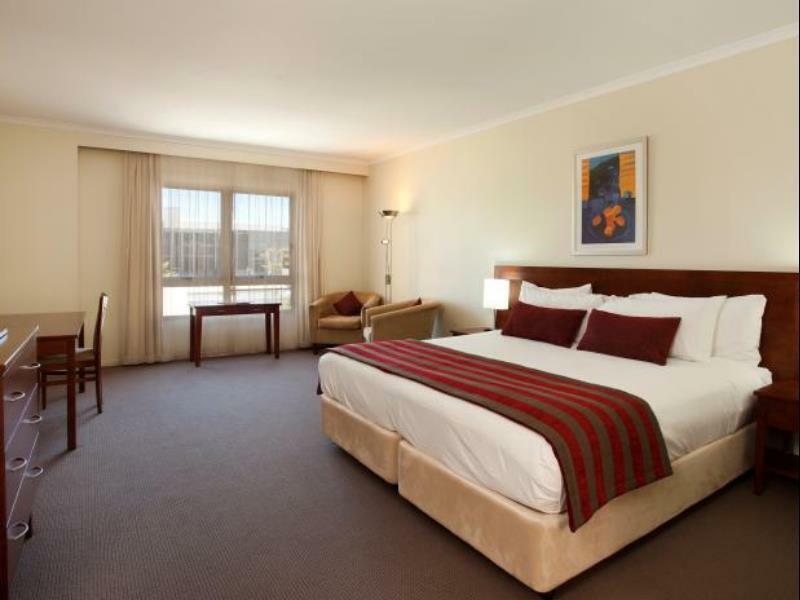 We have purchased 2 king sized Rydges beds - they are wonderful! To enjoy the same quality sleep in a hotel as you can have every night at home is wonderful. Had a wonderful overnight stay, friendly staff, couldn't be more helpful, nice food in the restaurant, lovely room, comfy bed, great renovations, joined Rydges Rewards Program, will definitely return. We really enjoyed our stay here, it was right on the waterfront and had a really nice rooftop pool overlooking the habour. The hotel was right in the city centre and had plenty of local food and shops around. Excellent location. We had an very large 2 bedroom apartment which was more than comfortable for 2 adults and 3 children. I requested a travel fit which was set up with sheets and blankets ready for our baby in our room. Kids loved the spa and pool. Will definitely return. I booked thru agoda I was quoted $138 & my c/card was charged $198 I was then told that I was quoted in US dollars. I expect to pay in the currency of country I stay in as other booking agencies charge. The toilet hadn't been cleaned & the vanity basin had tissues stuck in the sink drain. Decor was dated for a price of $198 per night room only.